CBI, Iraq,ISX, Economists fear the process of lifting the zeros of the Iraqi currency. Baghdad, March 25 / March (Rn) – The number of Iraqi economists to start deleting the zeros would hinder the development of the Iraqi market for securities because it will cause the reduction of foreign equity to 20% after it experienced during the current year 80%. Authority announced the Iraq Stock Exchange yesterday that the deletion of three zeros from the local currency will not affect the level of equity investment of external and internal. And announced that the Securities Commission for enforcement of stop starting from today until next Thursday in response to the holiday announced by the Iraqi government. And started the Iraq Stock Exchange initial preparations for membership of the global market, has also announced the initiation of e-filing for companies foreign and domestic investment, rather than filing paperwork. The Stock Exchange of Iraq has started operation in 2004, and shifted from manual trading to the use of screens handle electronic in 2009 and open for trading two hours a day five days a week, and the banking sector is the largest in the exchange, which also includes the shares of industrial companies and insurance companies, hotels and agricultural companies. The central bank says it completed a road map to get rid of the three zeroes. Also announced that the Economic Committee in the Iraqi Parliament, last Thursday, they formed the Central Bank of Iraq with a joint committee to begin the process of deletion of zeros from the local currency. And stresses the Securities Commission of the government’s position to delete the zeros and says that adversely affect the financial trading in the stock market. It is worth mentioning that the Central Bank of Iraq’s four branches in Basra and Sulaymaniyah, Erbil and Mosul, which was established as a bank independent Iraqi under the law of the Central Bank of Iraq issued on the sixth of March / March 2004, which is responsible to maintain price stability and the implementation of monetary policy, including exchange rate policies and management foreign reserves and the issuance of currency management, as well as to regulate the banking sector. The main tasks of the Central Bank in managing monetary policy in the country and raise the level of the value of Iraqi dinar and tackle inflation. 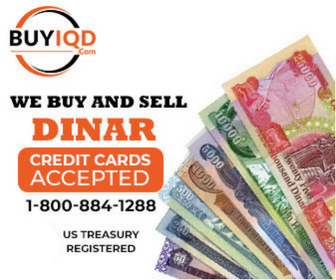 It is simply because 1 dinar is always 1 dinar. That means they will increase its purchasing power or in the other word they will increase the exchange rate. Now we know the CBI likes the first of the year to introduce lower denomination notes. The first of NEXT year?? I hope.... I don’t know.! Go RV sooner than later.! That’s what I keep telling myself. Wonder what the limits of transfer of money back to the USA will be? Daily, Weekly or Monthly. I did ask al Karmal if they would consider it. They are “looking in to it”. If you don't mine me asking, through which bank or brokerage company do you have your MasterCard through? Im waiting for the outcome of the IMF-SBA third review. Then we will have a better idea. I don't think we will ever really have an idea. 15 years in this and not one person really has an idea. Just speculation based on articles that are always vague or mistranslated. Even the Iraqis in charge have no idea. JMO. That being said I'm staying until this is done one way or the other. Time will tell. Until then, enjoy your hammock, my friend. I agree my friend, time will tell.